and the home to every fowl spirit and a cage of very unclean and hateful men"
Never get along like red and black ants, advance..."
No chance to think about coming back..."
I really don't fear that..."
"It's the Meth in the house! Ha, yeah, break it down. 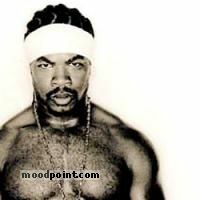 and clown; Niggas relyin on special effects..."
Partner cam through wit two white boys..."
Bring heat in ridiculous ways never compromise..."
if you want to see other song lyrics from "40 Dayz and 40 Nigthz" album, click "Xzibit Singer" and search album songs from the artist page. If you know some new information about What U See Is What U Get, or other song from our site, that isn’t already on song page, please let us know, Any refinement, news, or comment is appreciated. If information about What U See Is What U Get, or any song from moodpoint directory is wrong, please contact us and write where the incorrect data should be replaced by correct data. Use "Find Lyrics" box on our site, try to use different artist or (and) song title(ex: What U See Is What U Get) word forms.